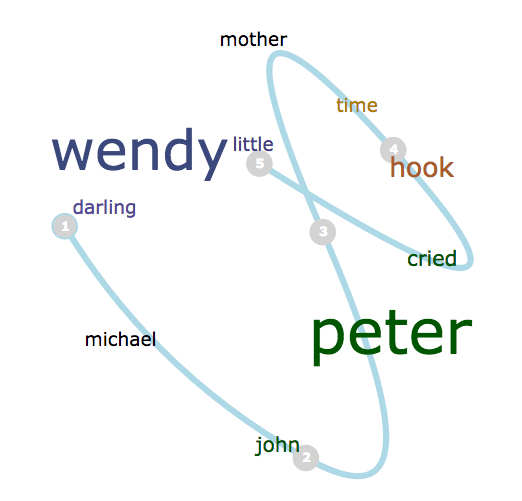 Some really exciting things in text analysis and visualization have crossed my Twitter feed recently; I thought I'd pull together some pointers in case you missed any of my tweetspam about one of my favorite subjects. Maybe posts like this will become a regular thing! David Mimno updated Mallet, the Java reference package for LDA, with labeled LDA (topics within labeled documents) and stop word regular expressions. Blog post with some explanation here. Alan Riddell released a Python implementation of LDA with an interface inspired by scikit-learn. He points to an interesting semi-supervised topic modeling package also in Python, zLabel-LDA. 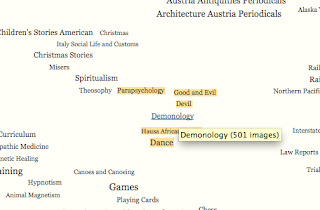 I was rather excited when Mario Klingemann posted his evolving project on visualizing the topics of the images in the Internet Archive's Book Collection -- a giant zoomable map of related subjects crunched with t-SNE. The links open the related images collections on flickr (e.g., here's "playing cards"). If you like old book images, especially woodcuts, this is a trap you may never escape from! 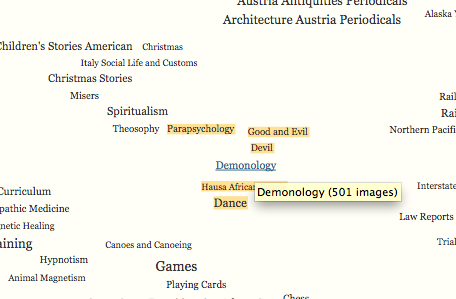 I got lost in occult symbols and finally had to shut the tab. 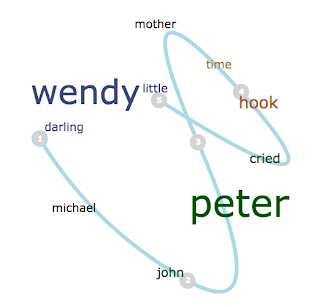 and GloVe, which claims to improve on word2vec but looks similar to me from the usage perspective (here's a "maybe buggy" Python implementation). t-SNE also has implementations in lots of languages including Python and R, all listed on their page. 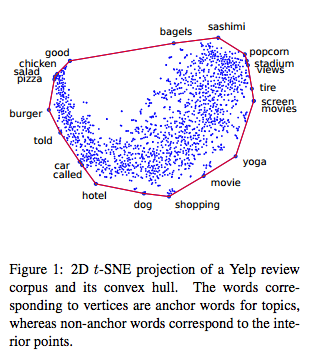 Also see a nice overview explanation of word embeddings with t-SNE visual examples by Chris Olah here and his demo of dimensionality reduction and t-SNE here. In a fascinating project on Visualizing.org, Georgia Panagiotidou and Anne Pasanen visualize the oscillation of characters between good and evil in the Finnish Kalevala epic. Really lovely and worth a browse in full screen. The text is chopped into N chunks, and each "chapter" is plotted in a 2-dimensional space (connected by lines) along with the top X words in the text. You can see how the trajectory of the text moves through the space of words, emphasizing different themes at different stages of the work. Note: Keep options for words to generate low, or you may get an error. Thanks to David Mimno (@dmimno) for passing that one one! Darius Kazemi (@tinysubversions) is doing NaNoGenMo (National Novel Generation Month) again this year - repo and rules here. Let's all work on text generation in November! Instead of, you know, actually writing that novel by hand, like an animal. 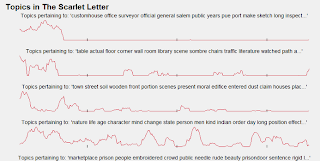 It was a few weeks ago, but it still makes me giggle - the Vogon Poetry Generator that uses Google Search to build something based on the title (which you can edit in-page). 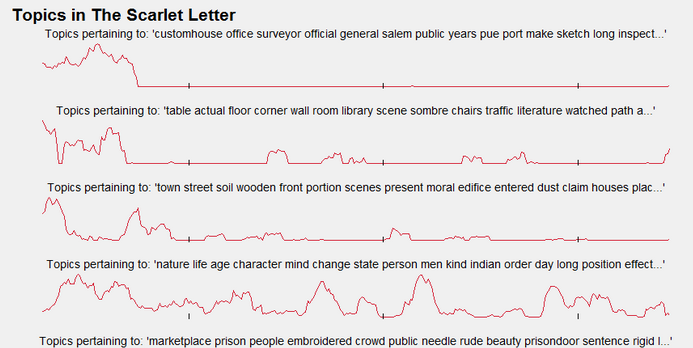 I really love text visualization projects that combine great analytics with great applications. Keep sending me pointers (@arnicas on Twitter) and maybe I'll do more of these roundups when the awesome gets to me enough. 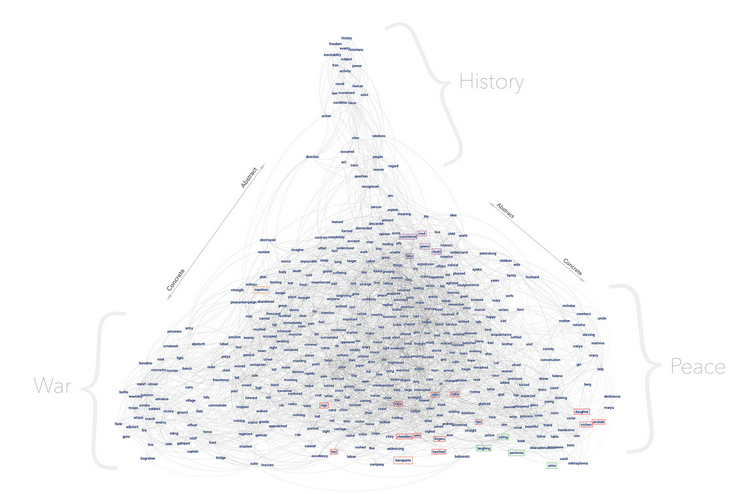 For more inspirational links, try my Pinterest board of text vis, my twitter list of text vis, art, nlp folks (who talk about a lot of other things so YMMV), and this hopefully growing index of academic work from the ISOVIS folks.